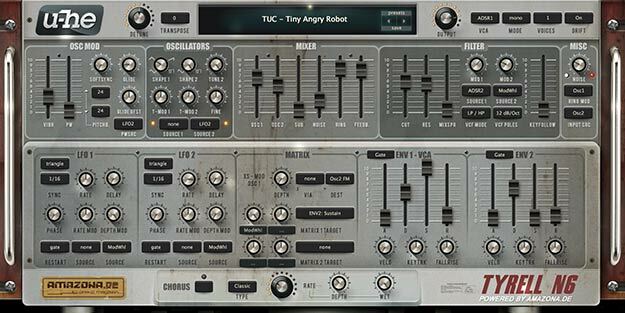 Synth1 VST is a monster! Anything similar? Hey everyone, just getting started making electronic music, no hardware yet, everything is currently being made using LMMS DAW and a keyboard and mouse. I have a couple of midi controllers on order, and I will have my eyes out for used synths now. I was wondering if anyone could recommend some great free VSTs apart from Synth 1 which I feel is an absolute monster of a VST. Is there anything similar to Synth 1 out there that is as vast in the way it can be used? Looking in the realm of very cheap or free. Thanks. Re: Synth1 VST is a monster! Anything similar? I have not tried u-he Tyrell yet, thanks for the link and the suggestion, I will give it a try! Synth1 is also a favourite of mine and my go-to synth on the PC when I just want to quickly model a sound. I think its name cousin Sylenth1 is a lot like Synth1 on steroids, so maybe you should give it a try. It's not free, though.